Twenty-two people have been confirmed dead and around 50 others injured by police who are now treating the explosion that happened outside the Manchester Arena as a terrorist incident until they “know otherwise”. “Just before 10:35pm on Monday 22 May 2017, police were called to reports of an explosion at Manchester Arena... This is currently being treated as a terrorist incident until police know otherwise”. A large number of ambulances and police vehicles are at the scene following a number of unconfirmed reports of explosion-like noises. However, no reports of an explosion have yet been officially confirmed. Concert goers were filmed fleeing the area following what witnesses described as a loud bang. 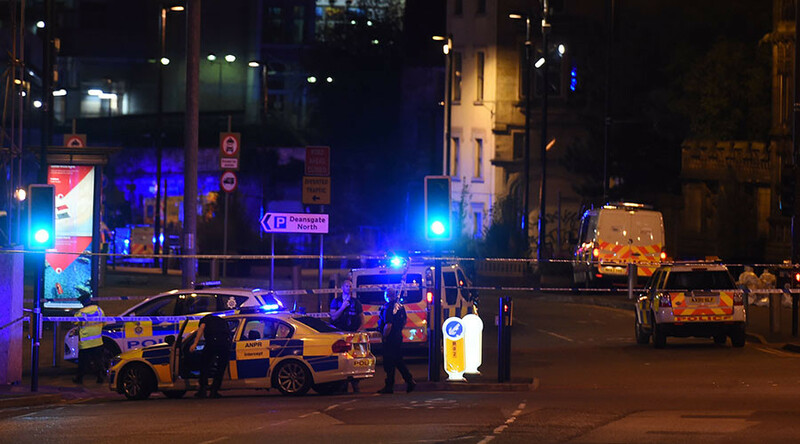 Greater Manchester Police responded to the scene, calling it a “serious incident” and has advised people to stay away from the area. Loud sirens can be heard throughout Manchester and a heavy presence of police and emergency vehicles are in the area. "We were making our way out and when we were right by the door there was a massive explosion and everybody was screaming," eyewitness Catherine Macfarlane told Reuters. "It was a huge explosion – you could feel it in your chest. It was chaotic. Everybody was running and screaming and just trying to get out of the area." Manchester Metrolink announced that no services would be running at the nearby Victoria Station due to an “ongoing police incident”. Due to an on going Police Incident, services are not going through Victoria Station. Please see https://t.co/6VrS7ZnNQh for more info. “Emergency services are dealing with an incident near Manchester Victoria, resulting in all lines being closed," National Rail said in a statement. “Trains are currently unable to run to/from Manchester Victoria. Some trains will be canceled throughout or start/terminate at alternative stations."